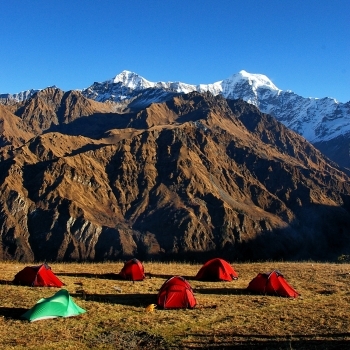 India’s leading institution for outdoor education, the Hanifl Centre is located at an altitude of 7000 ft, is ideally placed to provide a facility through which students and visiting faculty can learn about the Himalaya, develop their skills and knowledge in outdoor and environmental education. The Centre strives to make the best use of its unique location by providing a variety of educational and environmentally conscious programmes through treks, service projects, organic farming, language classes, etc. The centre also contributes to the sustainable development of the region by engendering an appreciation and understanding of the Himalayan environment in future leaders from around the world. This camp is an introduction to being in the outdoors and includes sessions on tent pitching, staying warm & dry, camp cleanliness, short hikes in the neighbourhood. In addition, there are classroom sessions on the geography of the western Himalaya, environmental issues affecting this area and films on wildlife conservation. The Hanifl Centre is a very well designed campus that offers a safe and healthy learning environment. In addition it provides home comfort for upto 40 students and teachers. The campus has security 24×7 with access to Woodstock School’s Health Centre, ambulance service and nearby Landour Community Hospital. - Creating awareness of Himalayan Biodiversity. - Recognizing flora and fauna of this area. - Learning about the people and culture. - Learning about mountain agriculture and its challenges. - Appreciating the beauty of the Himalaya. - Importance of its conservation, with hands-on work at the Jabarkhet Nature Reserve. - Learning outdoor climbing skills. - Teamwork and team building exercises. DAY 1 - Arrival & welcome at Hanifl Centre; introduction to outdoor living skills; introduction to local geography; camp activities. DAY 2 - Introduction to climbing, nature walks, organic farming and discussions on conservation. Hanifl Centre for Outdoor Education and Environmental Study is an outreach of Woodstock School - Celebrating over 164 years in the Himalaya. Since its inception, Hanifl Centre has attracted institutions from India and around the world for environmental education and outdoor learning experiences in the Himalaya. Wool socks : 2 pairs; preferably thick wool socks. Nylon socks : 2-3 pairs; of the type you wear daily to be worn under the wool socks to prevent blisters. Sturdy hiking boots : preferably all leather upper as it provides better ankle support. If you do not own a pair yet, it is advisable that you buy one as soon as possible & wear it often so that they are well broken. This will help prevent blisters. Expert guides/mentors. Experienced and internationally certified faculty. Transportation for activities during the programme. Forest permits for hikes and camping (if outside Woodstock campus). Safe-secure stay during the programme. Medical Emergency Support at Woodstock Health Centre/ Landour Community Hospital (LCH). Climbing Gear - All climbing gear is provided by Hanifl Centre. These includes different types of ropes, harnesses, helmets, slings, tapes, different types of carabiners, mittens, descenders, ascenders, etc. Our Climbing wall is state-of-the-art and is fully equipped with climbing paraphernalia and safety equipment. Camping Gear - Tents, sleeping bags, sleeping pads, backpacks, gaiters. If required, liners bags for sleeping bags & backpacks, cup, bowl & spoon, rain poncho, rain pants & rain jackets, stoves, fuel & fuel bottles, cooking utensils, rations, trail food, trowels, water purification, first aid kits, etc will be provided. 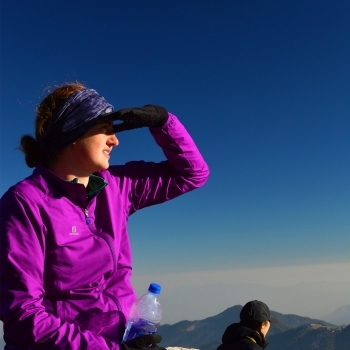 "PITT In The Himalayas" semester is offered by the University of Pittsburgh and taught at ..